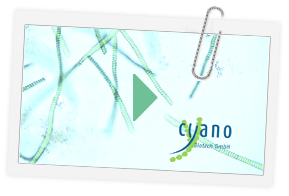 Cyano Biotech GmbH is the worldwide leading company in applied R&D on cyanobacteria. The company's business is aligned with the diverse cyanobacteria-based products and applications. Transferring the know-how gained in almost 30 years of academic research into an innovative biotech company, the focus on cyanobacteria is a worldwide unique approach.